Best Post Page is a WordPress plugin, that utilizes optimization algorithms to chose the best posts based on criteria such as views and comments. This plugin automatically generates a page called 'Best of Posts' that displays the top 10 posts from your blog. The list of the best posts is automatically recalculated. All you have to do is download and activate the plugin. 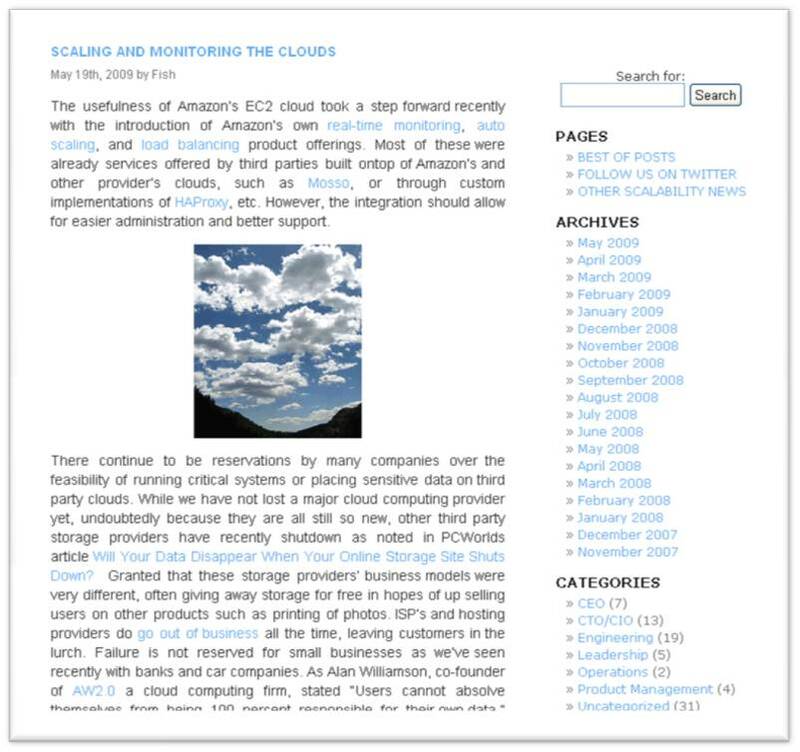 Here is a screenshot of a blog with the "Best of Posts" page on the right side under Pages. Here is a screenshot of the actual "Best of Posts" page with the best 10 posts listed as permalinks to the posts. You can download the plugin here. Installation is simple, just place the file in your plugin subdirectory and activate. You should have the WP-ShortStat plugin installed in order to use more statistics about each post. WP-ShortStat provides some of the usage data that is used in the calculations. What else should be installed? WP_ShortStats should be installed before this plugin as it provides a lot of usage data that is helpful in determining the best post. Are there any tags that need to be placed in posts? No, just install the plugin and the page will automatically display the 'best of posts'. Do I need to create the 'best of posts' page? No, just install the plugin and the page will be created automatically. What happens to the 'Best of Posts' page if I deactivate the plugin? The 'best of posts' page will be deleted. Nothing will be lost, the data is dynamically created so just reactivate the plugin and the 'Best of Posts' page will be back. Are their any API calls made? Yes, the plugin calls an API with data about your posts. The API service uses an optimization algorithm to determine the best 10 posts that should be displayed. This list is sent back to the page to be displayed. This is done server side so the client (browser) is not part of the API call. Can I change the title or content of the 'Best of Posts' page? Yes, you can change the title or the content (default = This is a list of the best posts.) but you cannot change the permalink (what shows in the URL when you are on the page http://yourblog/best-of-posts/). If you have questions, problems or suggestions email me at Mike Fisher. 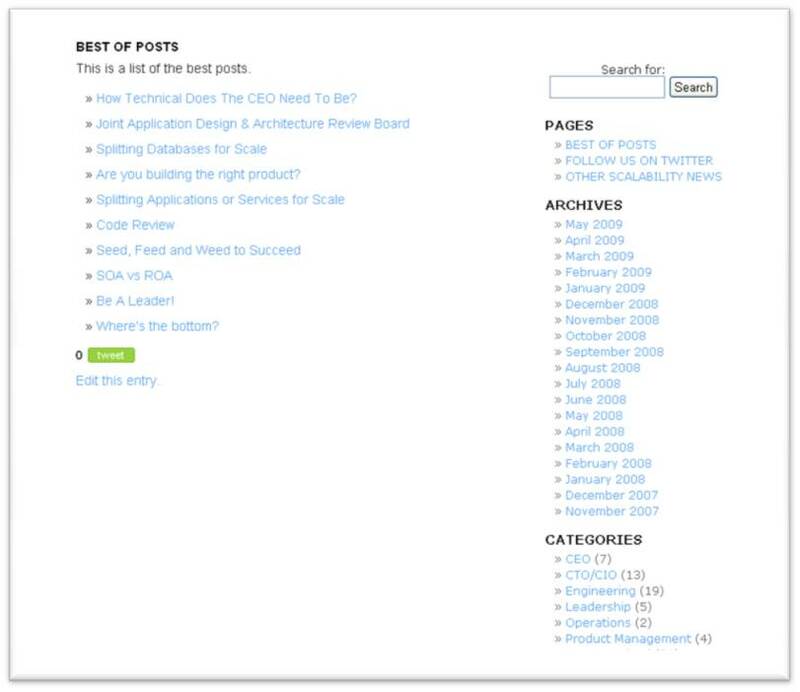 5/31/2009 - Added admin page for configuring the number of posts returned. Fixed bug for blogs with small amount of usage data.